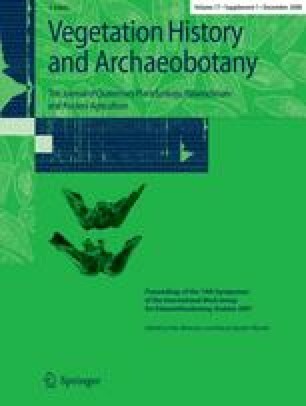 Analyses of charred remains and impressions of chaff in pisé (mudbrick) from the Neolithic sites of Aratashen and Aknashen (sixth millennium cal b.c.) situated in the Ararat valley in Armenia demonstrate that naked barley and possible naked (free-threshing) wheat together with emmer and hulled barley were common. Two lesser known crucifers, Camelina microcarpa (false flax) and Alyssum desertorum (alyssum) were found in the form of crop processing residues. These were frequent in the pisé, indicating their use perhaps as an oil source. Lens culinaris (small-seeded lentil) and Vicia ervilia (bitter vetch) were recovered both as carbonized seeds and from crop processing residues in the pisé. False flax and bitter vetch were less common than alyssum and lentil. Two charred pips of Vitis vinifera (wild vine) were recovered, suggesting the early use of vines in the region. Flotation samples alone would have provided limited data; examination of crop processing residues used for tempering pisé provided important evidence of the plant economy at these two sites. This study is supported by the C.N.R.S. (National Centre of Scientific Research) and the French Ministry of Foreign Affairs. The authors thank all participants of the Armenian-French expedition for help during fieldwork particularly, C. Chataigne and R. Badalyan. Thanks also to Stefanie Jacomet and an anonymous reviewer for some valuable suggestions which helped to improve this contribution.